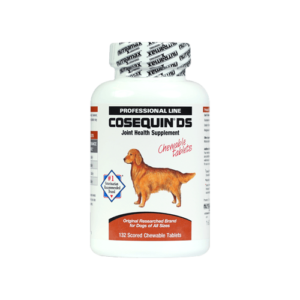 What is Cosequin® DS Capsules? 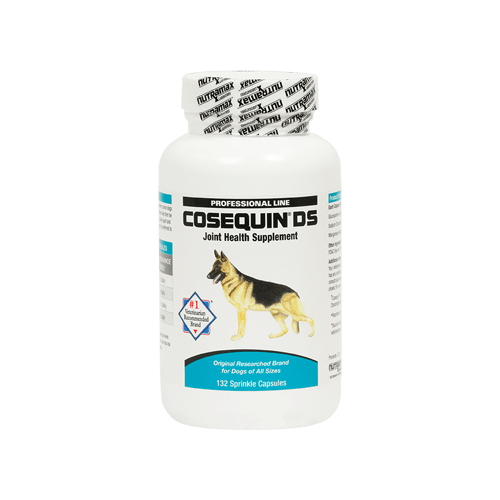 Cosequin® DS Capsules contain FCHG49® Glucosamine Hydrochloride and TRH122® Sodium Chondroitin Sulfate† and come in a bottle of 132 or 250 capsules that can be sprinkled over your dog’s food. 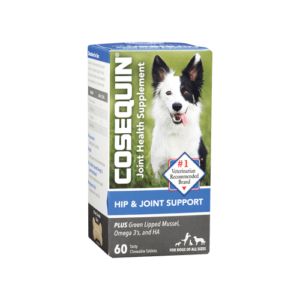 FCHG49® Glucosamine Hydrochloride and TRH122® Chondroitin Sulfate have been scientifically formulated to help support and maintain the health of your dog’s joints. 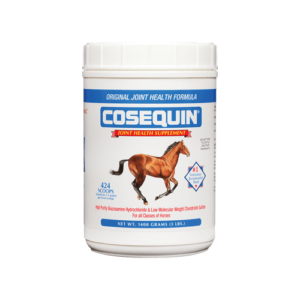 The ingredients in Cosequin® work together to help support and protect the cartilage. 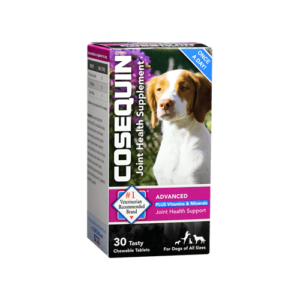 The recommended initial period is four to six weeks; however, some dogs may respond sooner. 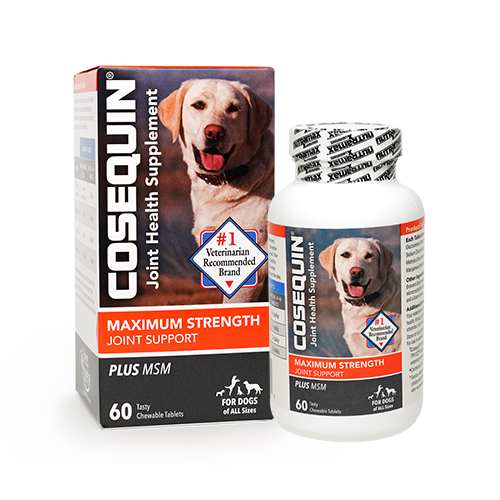 The number of Cosequin® DS capsules may then be reduced to the maintenance level. 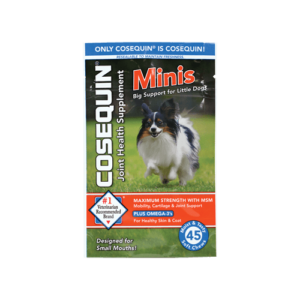 The capsules can be pulled apart and the contents sprinkled on the pet’s food. 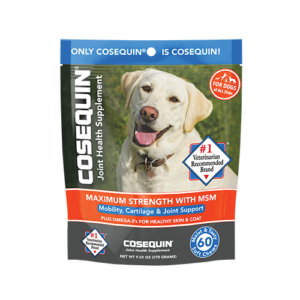 Wet or moist food is preferred to ensure that the pet gets the entire amount. ▴Contains up to 10% moisture.